Having covered the anatomy of a good ecommerce popup in our last blog post, we spoke to Ometria’s Head of Ecommerce (and resident Frenchie) Paul Henri about alternative ways that online retailers can grow their email lists. From Facebook leads to offline hacks, here are Paul’s top seven suggestions. 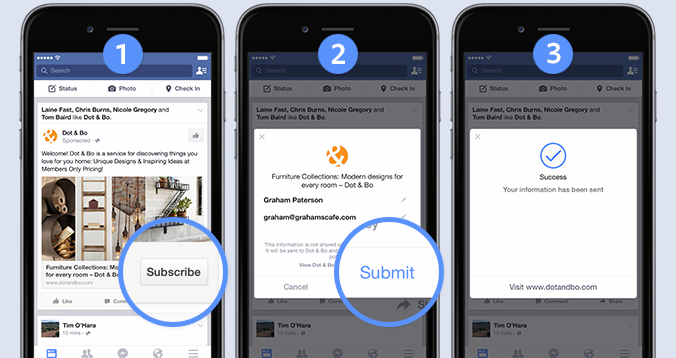 Creating a Facebook lead advert enabling users to signup to your newsletter without leaving Facebook. In terms of pricing, CPM (cost per thousand impressions) is quite popular among retailers, and a good choice if your ad ends up with a high click-through rate. That said, some online retailers have good success rates for ads using cost per lead or cost per conversion. Ultimately, you'll need to test different ad pricing models to find your sweet spot (if you haven’t done so already). New audience: This can be created using Facebook’s audience builder (where you can use the social network’s information on its users to, for example, target people in specific locations or age-groups). It enables marketers to create a very targeted list and is advised if you know your target audience very well. Lookalike audience: Using a custom audience based on a list of email addresses uploaded to Facebook, you can target Facebook users similar to contacts in your list - specifically, those who engage with your email communication. For example, the list uploaded could be contacts who’ve opened and clicked at least 50% of your last ten newsletters. You could even go a step further and upload a load of contacts engaged but are also shoppers of a certain category - for example, dresses. 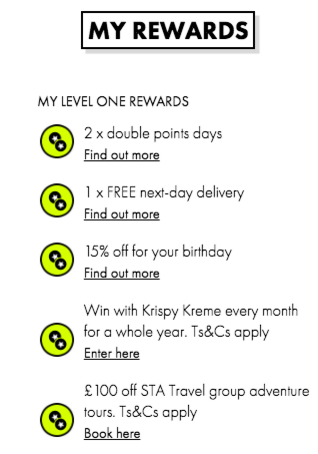 This enables you to create a topical ad with a potential incentive to encourage sign up. Retargeting audience: Again created through a custom audience, this type of audience is based on those who have visited your website before. In order for this to be achieved, you’ll need a standard Facebook tracking pixel on your website. For maximum efficiency and relevancy, you should exclude people already signed up to your newsletter from the retargeting audience (through a custom audience). How to auto opt-in shoppers? As we all know, marketers can only send marketing emails to individual customers if they’ve been given permission to do so. However, there is an exception when it comes to communicating with customers; a rule referred to as soft opt-in. As stated in The Privacy and Electronic Communications (EC Directive) Regulations 2003, businesses are able to send marketing emails if a recipient’s contact details have been obtained “in the course of the sale or negotiations for the sale of a product of service”. 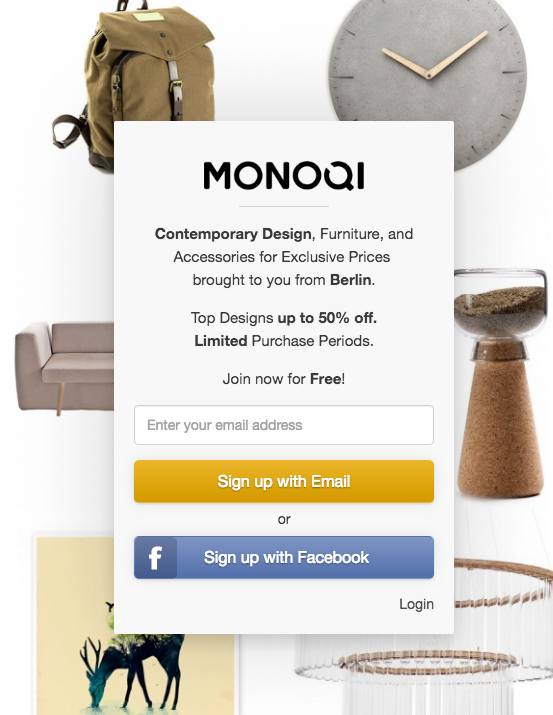 This means that, when a customer completes a checkout, they can be automatically added to your email list. Using soft-in, the amount of unique customers you have will contribute towards the number of subscribers you have (you do, however, have to give recipients the option to opt-out right away). You’d be forgiven for thinking that automatically opting-in customers would decrease their engagement and increase unsubscribers/complaints. However, we've seen that customers who are automatically opted in tend to be more engaged with newsletters (in terms of open and click-through rate) than the subscribers who actively signed up. 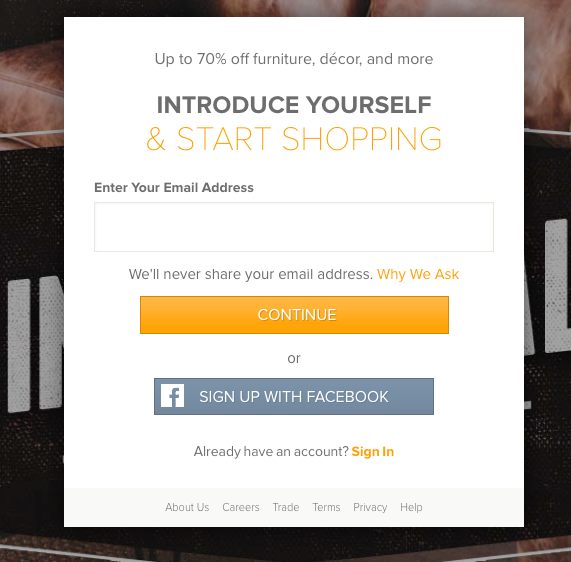 Today, there are plenty of easy ways for retailers to gather email addresses offline. Perhaps one of the most popular methods is offering to send a customer their receipt via email (instead of giving them printed copy). There are several solutions (POS systems) available today to implement this in your store. Another popular method includes fusing the online/offline experience. One brand particularly good at this is home furniture store MADE. 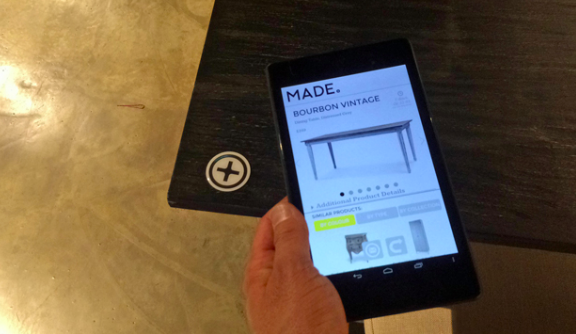 The brand’s London showroom features tablets so that customers can create their own MADE wish list, as well as scan the barcodes of certain products to find out more information and discover availability. Customers then have the option of emailing this list to themselves before they leave the store. As pointed out by Essential Retail, this use of in-store technology enables a retailer to not only collect email addresses, but also understand the sort of products different customers are interested in. And then there is, of course, a good old incentive; for example, offering a customer a discount for their next purchase online. This not only creates room for an aforementioned soft opt-in, but also gives a marketer both online and offline data - the necessary ingredients for creating a single customer view. Closely linked to incentivisation comes online competitions. This method to boost email list growth is pretty self-explanatory - you ask people to sign up to your brand in order to be in with the chance of winning a free gift. Whilst this growth hack has obvious short term benefits, you may find that these contacts lose engagement as soon as the competition is over; it’s your job to make sure they stay engaged by serving them the relevant content through behavior-based marketing automation. This is something Ometria can help you with. As well as encouraging a purchase by redirecting browsers straight to product pages, retailers can also use Google search engine results (SERPs) to elicit a newsletter sign-up. 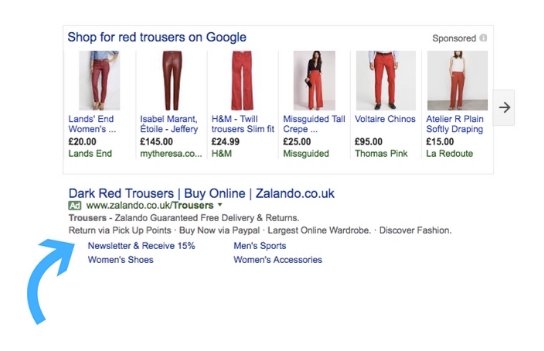 For example, here’s an ad that appeared when we typed “red trousers” into Google (check out the quick links). This can be used on both paid and organic listings. 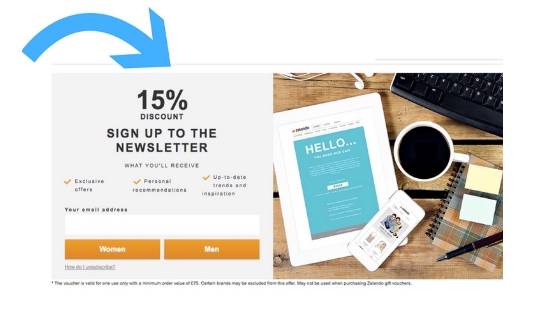 Here, Zalando uses ad extensions to offer us quick, direct access to its newsletter signup page. Asking your website visitors to create an account with your brand in exchange for a rewards or more tailored experience can be a great way of growing your list. ASOS, for example, encourages website visitors to sign up to its A-list loyalty programme, offering benefits right from the get go. The pros? This is a good way to garner lots of emails in a quick and easy way, making the overall conversion cycle a lot shorter by focusing on capturing email addresses instead of transcations. And the cons? Some people won’t be willing to give their email address right away, and the bounce rate on that page might be higher than other retailers’. We’ve already covered Facebook retargeting, but another option is to run display ads targeted at people who have visited your website by using retargeting networks such as Adroll or Criteo. This makes for a great cross-channel campaign if used in conjunction with Facebook. Similar to Facebook, you’ll need to upload a list of newsletter subscribers to use as an exclusion audience and keep it updated to avoid serving email sign-up ads to people who have already signed-up to the newsletter. Unfortunately, display retargeting is not always easy to measure as most people don’t click on ads but still consume them visually. It will therefore be up to you to assess the success of it based on impressions and clicks and overall leads signup uplift on your site. To measure how much traffic different campaigns are driving to the site: You can create a dedicated email signup landing page for different campaigns in order to measure where each new lead has come from using Google Analytics and goal conversion. You should then be able to match these analytics with the spend on each campaign to calculate your cost per visit and cost per lead for each initiative, and find out which is performing best in order to focus your efforts correctly going forward. To determine sign-up sources within the site (subscriber opt-in vs customer soft opt-in): You can use goal conversion through Google Analytics or alternatively, if you’re able to, each sign-up source will have a dedicated email list to add email addresses to. We hope you found this post useful. Feel anything was missing? Please tweet us @OmetriaData - we’d love to hear from you!